This book rack with a sleepy giraffe design is fun furniture for schools and libraries. It has 5 shelves with stretchable cord to hold picture books and magazines in place. Plus a single hanging pole at the top. 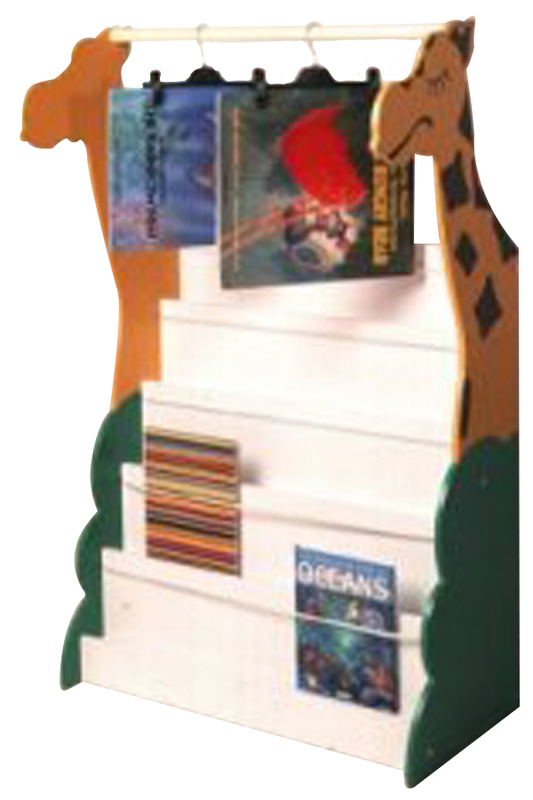 This book browser is a bright and fun storage unit to have in any school, nursery or library.